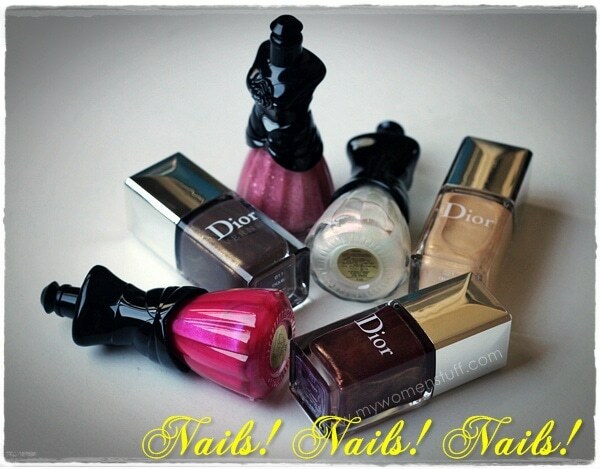 Home » Musings » My Women Stuff Nails it! My Women Stuff Nails it! Please help me welcome them. Xin is one of my partners in crime right here in Malaysia. You may have recognised her from her blog at prettybeautiful.net and she is a lovely young lady who always keeps me entertained 😉 We’ve known each other for at least 4 years now and it never gets any less entertaining! Xin does a lot of nail art on her blog and I’ve enlisted her to contribute nail art ideas and tips and tutorials so there’s that to look out for! If you have any nail related questions, or perhaps you want either contributor to address something specific about nails, or you want to know how to do a specific nail art, please pipe up and I’m sure they will be more than able to oblige. NEXT POST: Might the ZA Cosmetics Impact Lash Mascara Volume be an affordable solution to a pricey mascara problem? I *adore* Peach and Xin shares my sister’s name, so I already love her 😀 Can’t wait for the awesome nail coverage! Oh, and before I forget it: I gave you a blog award, Paris! Thanks so much! Now all I have to do is figure out how to get my hands on them. Q: How important is using a base coat? yeay for jumping on the nailwagon! Base coat is very important if you apply nail polish regularly. Without a good base coat, your nails can turn yellow pretty fast due to staining from the polish. And somehow without a base coat, my nails seem to ‘suffocate’ if I color them. Anna Sui nail polish!! OMG! I’m curious about those renewed Anna Sui polishes as well!! Headless, but still cute!